Rapper 50 cent has always been on his fitness A game. In almost every one of his videos you can catch him showing off his set of abs with his shirt off. 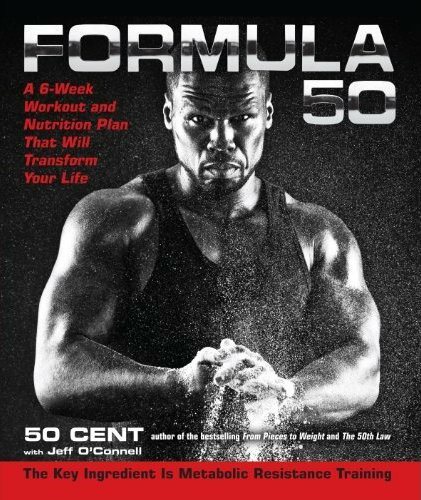 Now, he wants to share his fitness secrets with you in his new book “Formula 50”. In his book he discusses how after he was shot in 2000 taking care of his body became his first priority. He explains there are two different six week programs in his book, one for beginners and one for advanced individuals who workout. Each program will show you different workout regimens and healthy nutrition tips.